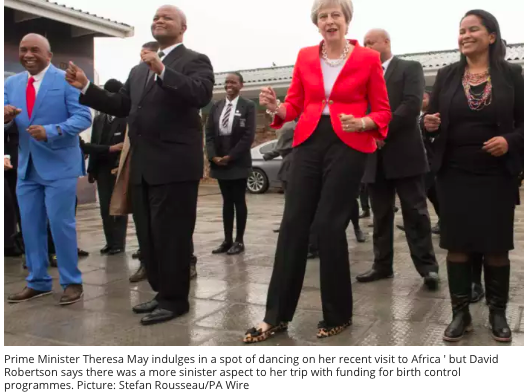 Although Theresa May’s recent visit to Africa was more noted for its ­dancing, there was something which largely went unreported and yet was of far more significance. The UK government pledged to give £200 million to help women in Africa/Asia who want contraception and want to be able to control the number of children they have. Marie Stopes International (MSI) estimated that it would help avert 2.6 million unwanted pregnancies, 16,420 maternal deaths and 1.7 million unsafe abortions. Apart from being sceptical about these figures it seems as though this programme (which includes ­providing further schooling and other maternal ­support) is something that would be worth ­supporting. But there is a darker and more ­disturbing side to this. It may be that Mrs May, in wanting to again avoid the label of the ‘Nasty’ party, is ­unaware of what precisely she has committed our money to. The ­African activist Obianuju Ekeocha issued a disturbing video that showed Western abortion activists boasting about how they encouraged illegal abortions in Africa. Of course Western liberals assume that abortion is ‘progressive’ and a good thing. But it really does depend on your perspective. With the advance of modern science it is ­getting increasingly difficult to argue that the baby in the womb is just an ‘it’ and not a human being. If you follow the scientific rather than the ideological path, then what the British Prime Minister has done is commit our money to support an industrial scale slaughter of children in the womb. For the 1.7 million babies there is no ‘safe’ abortion. Britain is the second biggest funder of family planning programmes in the world. The UK’s Department for International Development (DFID) is the single biggest donor to MSI – giving it £44 million of its £296.1 million income. We need to ask why, when at a time of crisis and financial shortage in the NHS, British taxpayers money is being used to fund abortion in Africa and Asia? Why is a Western power offering money to African/Asian nations on the condition that they adopt Western values and give up their ‘primitive’ and ‘regressive’ values? Ever since David Hume and Kant, Western liberals have believed they were the product of a superior race – ever since Darwin they have justified that belief by saying it is because we are more highly evolved. I am currently reading the atheist ­philosopher John Gray’s Seven Types of Atheism – a fascinating book. He provides compelling evidence that racism of this type is a product of the Enlightenment. In his best-selling book Anticipations (1901), H. G. Wells, also a ­contributor to the Thinker’s Library, wrote of a new world order ruled by a scientific elite drawn from the most advanced peoples of the world. Regarding the fate of ‘backward’ or ‘inefficient’ peoples, he wrote: “And for the rest, those swarms of black and brown, and dirty-white, and ­yellow people, who do not come into the needs of efficiency? Well, the world is a world, not a charitable institution, and I take it that they will have to go … it is their portion to die out and disappear.” Although, of course, any self-respecting Western liberal today would disavow such crude and explicit racism – there is an implicit kind of racism practised by Western aid agencies and government (as ­evidenced by the DFID and Mrs May). They believe there is overpopulation in Africa and that one of the best ways to control them is through killing the child in the womb. Of course they don’t say that and they don’t use that language – but however they dress it up – that is precisely what it is. Abortion in the US has always ­discriminated against the black ­population and now we have Europeans (who are suffering from depopulation in their own continent), ­imperiously telling Africans that we will give them aid as long as they buy into the Western culture of death. But maybe on this issue it is the Africans who are really progressive and it is the Western liberals who are regressing to the Greco/Roman/pagan view of abortion and infanticide? Yes, let us give £200 million to save lives and to fund education and ­proper maternity care. But £200 million to take life? Brexit is no doubt the all-consuming issue for Mrs May, but this issue is way more important. 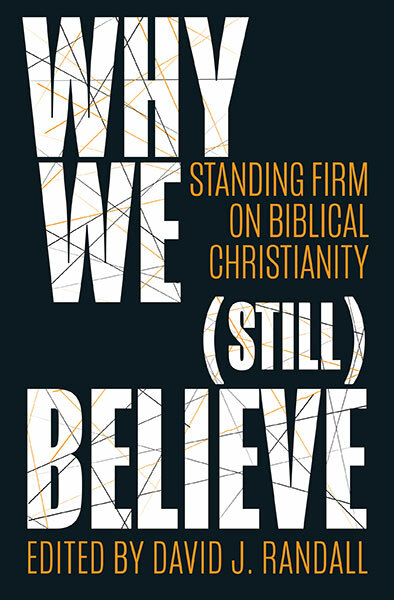 The ­Christian church has always sought to protect the weak and vulnerable. Politicians are often prepared, as Herod was with the babies of Bethlehem, to ­sacrifice the weak for the sake of their own ambitions. Those of us who are Christians should do what we can to protest and protect the weak. A great deal was said about the Prime Ministers dancing ability (or lack thereof) I smiled about it – until I heard about this evil. Now I cannot help but reflect that she is dancing on the graves of Africa’s children. God have mercy. The irony is that those who support the export of “Western Liberal Values” are often those that are most critical of what they see as the Cultural Imperialism of Christian Mission.